raj, 12 Nov 2012i hate ds phone. all the apps and games will be installed but everything will be laged.... due... moreare u kidding! 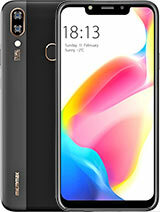 !dude thiz phone iz one of the best phone in 5k range.and u can play even high end games on this phone by rooting it.and coming to upgrading no company iz offering more than 256mb ram,ics and thiz features at thiz price range.if u find one then go for it!!!!! Very bad Customer care services. can any1 tell me wheather it has fm recording option or not? Using MMX A52 for past 3months n m really pleased with the performance of this phone.. Best phone under Budgeted segment for me.. Anonymous, 09 Nov 2012thanks cubby alot. well it ws problem in my device only I am using windows xp sp3 so it wasn't... moregud to hear that u rooted ur phone.use titanium backup to uninstall and move downloaded apps to sd.u cant move preinstalled apps to sd,only u can uninstall it.but u can move appliction which u have downloaded.thiz application iz gud and it also make a backup of ur phone. hey guys i am increased my RAM upto 100mb without rooting and my internal memory up to 60mb.Everything is runing smooth now it have better multitasking ha superb now.I am also running temple run and GTA Vicecity all games smooth without rooting. hi guys.... good news for every micromax a52 user who keep interest playing hd games like dead space, nova, assassin creed, avater, pess 2012 etc on this device. I have tasted all the mentioned games and works like butter except of dead space hd. dead space is playable but little laggyness sometime because of its less ram. all you need to do just root ur device and install chainfire 3d. trust me guys... I have been using my rooted a52 since cople of month. no problem whatsoever. you can download all above mentioned games here....( www.galaxyminiclub.org ) its qvga blog.. as our device is also qvga.. search in this blog untill u get the last page. u will find every game... follow the instruction to install apk and where to put sd data.. lets open the box of joy.. This phone is very good performance except weather app on desktop. It is not update since i had purchase this one. Any one can tell me about this how to weather update in this device? Anonymous, 09 Nov 2012thanks cubby alot. well it ws problem in my device only I am using windows xp sp3 so it wasn't... moregud to hear that u finally rooted ur phone.the internal memory we can free last is upto 40-45mb somethng u wont get more than thiz.and use titanium backup for uninstalling and moving apps to sd.and one notable thing iz that u cannot move pre installed apps to sd,so uninstalling iz only the option but u can move the downloaded apps to sd card which 'apps to sd'even cannot move that.but moving application to sd iz not recommend as some widgets might not work if it has. 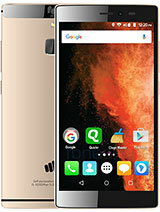 Any one says that micromax a52's has upgrade option? 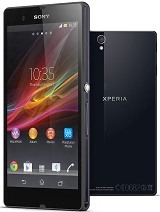 I have purchased this phone back in August 2012. Since then I have been using this phone with lots of fun. I have a great great experience using this phone so far. 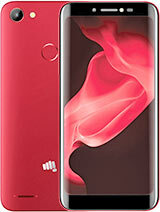 It is the best phone I have ever used in this price slab. 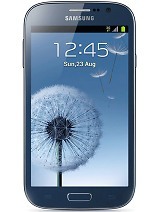 Very fast phone with good camera quality though 2 Mega Pixel, Wifi, 3g, GPS, GPRS Edge, Gravity sensor etc etc . 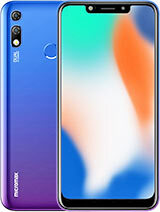 I would recommend this phone to everyone who does not care about front camera and rear camera flash which is only missing things in this phone. cubby, 08 Nov 2012if u had dwnld adb drivers frm xda developer then unlock root must deffntly gonna detect ur mo... morethanks cubby alot. well it ws problem in my device only I am using windows xp sp3 so it wasn't able to detect my device after using usb debugging dats d problem so even I tried that easy tether but din't work so I tried with mobile go app its working so finally got to root today :). but now quite sad because I have removed pre installed apps like fb aisha and gmail but still my device having same internal memory 165 mb only and even app to sd not moving apps completly to sd card. I need ure help for this all. so please help me cubby. thanks a lot friend. it is vry vry gud phone as compare to this rangeof cell phone.. it is much better than samsung galaaxy y, so who decided to buy galaxy y..think again abt their decision and u can compare urself..
it has vry gud camera quality but in lights or u can say in daylight, in night it is nill. 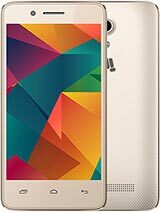 i am using this phone since july 2012.. and i m satisfy by this phone's performance..
i will recommenned this phone frndzZzzz..
pinto, 08 Nov 2012cubby that is the point installing adb drivers that is done by unlockroot. so explain how to i... moreif u had dwnld adb drivers frm xda developer then unlock root must deffntly gonna detect ur mobile at the last step.I once installed 'easy teather' apps from play store and it also installed adb drivers on pc.so u must try that and see if it works.